Chardonnay was planted 33-35 years ago along a single extensive east-facing slope between 600 and 840 ft elevation. The vineyards lie over porous 1-3 million year old sedimentary rock at variable depth, at a site geographically midway between the Pacific Ocean and the San Francisco Bay. Because subsurface water is readily available during the growing season, the vineyards have largely been dry-farmed. The site reliably provides ample acidity to make age-worthy chardonnay. Bee is the largest block at 3.5 acres, facing slightly north of east at 735 to 670 ft. elevation, with sedimentary rock farthest from the surface. Massal selection from Home Block (clone 4) was grafted on 5c rootstock 36 years ago. Home is a 2 acre east-facing slope at 840 to 805 ft. elevation, located just below the main residence built in 1912. The vines are 37 years old, probably clone 4 and own-rooted. 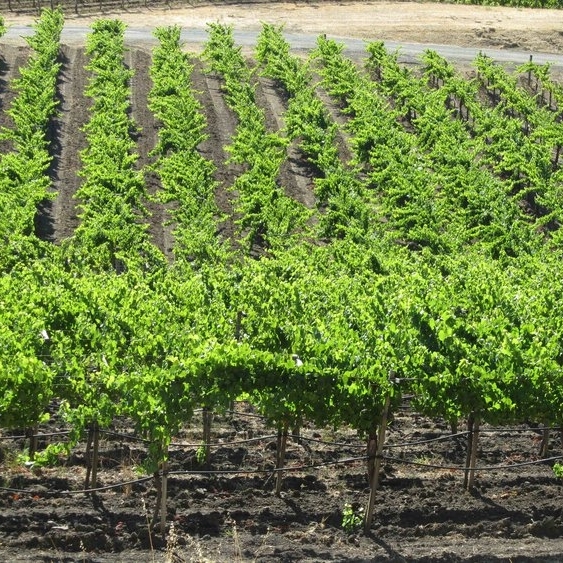 Pinot Noir blocks were planted in three stages between 1997 and 2006, generally lower in elevation than the Chardonnay blocks. The vineyards lie over porous 1-3 million year old sedimentary rock at variable depth, at a site geographically midway between the Pacific Ocean and the San Francisco Bay. Because subsurface water is readily available during the growing season, the vineyards have largely been dry-farmed. Upper Picnic comprises the 2 acres immediately above Picnic Block on the east-facing slope at 660 to 645 ft. elevation. In 2006, Dijon 777 clone was used as in the Picnic Block, but was grafted onto the established rootstock from the original Gewurztraminer planting, making the vines now 37 years old. 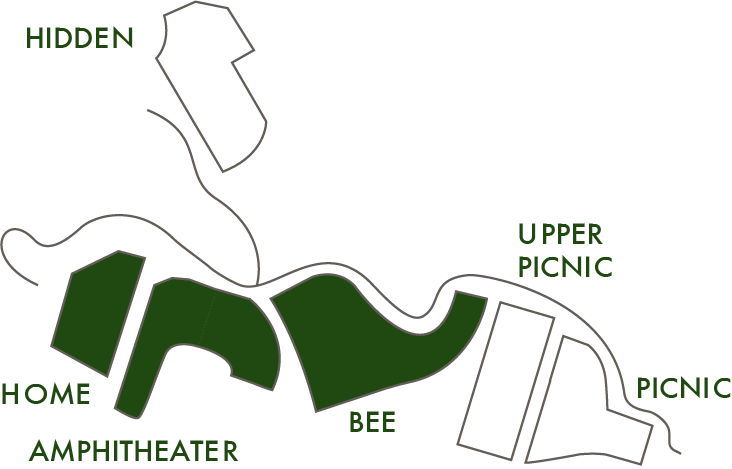 Picnic encompasses the 2 acres planted in 2000 on the lowest east-facing slope at 645 to 600 ft. elevation, replacing the original Gewurztraminer planting. These Dijon 777 clone 5C rootstock vines are now 17 years old. Hidden was the first Pinot Noir block planted, in 1997, on 3 acres at a location separate from the main vineyard ridge, thus the name. It is the only north-facing vineyard block on the property, and at 730 to 690 ft. is approximately the same elevation as the Chardonnay Bee Block but with a different orientation. Dijon 115 clone was grafted in the field onto 5C rootstock.